Thinking Through "No Justice, No Peace"
This is the crowd who peacefully protest daily across from the Ferguson police station. Yesterday I was part of the crowd for an hour or more before heading into the other part of Ferguson. 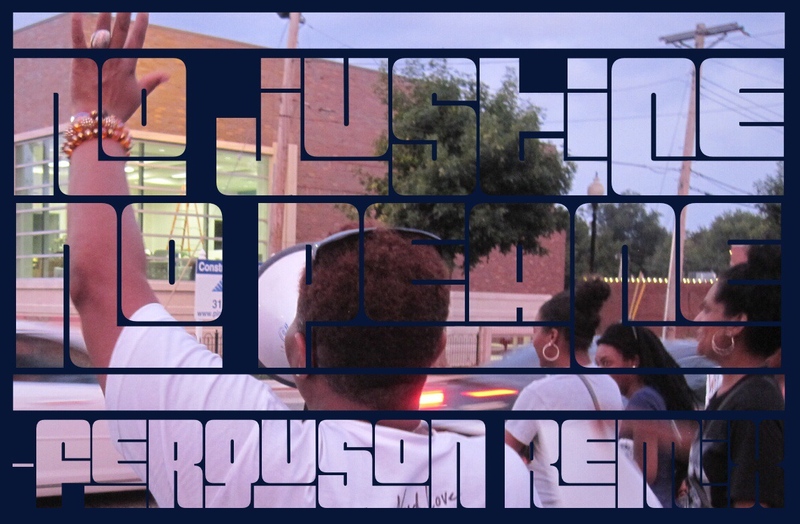 Her Ferguson Remix — No Justice, No Peace — is still playing through my head this morning in part because most of the pushing and pulling I see in conversations come from people thinking we need one first. For some protesters without justice, they feel they can no longer be peaceful. The problem has gone on long enough and by practicing civil disobedience they are showing they will not go away. 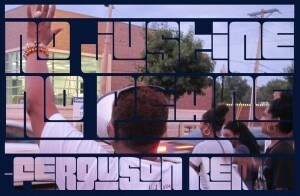 For other protesters, it seems they think we should have peace so we can work on justice. As for me, I’m not sure we can either without clearly working toward them both and we all deserve peace and justice in our communities. I think Miss Angie is also trying to walk the line to get to both as are many I met or saw in Ferguson late yesterday. Anyway, those are my thoughts & a little video to watch for the morning. Miss Angie is such a force to be reckoned with. I cherish the time I spend with her protesting in front of the Ferguson Police Dept. They just don’t make them like her anymore. Such a force indeed! Love the positivity she brings along with such strength. That kid had every opportunity to get out of that situation but kept making bad decisions which he ultimately paid the ultimate price for. How someone can end up with their blood on the inside of a cop’s cruiser door next to a bullet hole and not know he put his life at risk is beyond me.